Not sure if the name ‘Hungary’ has anything to do with hunger, but the country, surely, is the world capital of Confectioneries. If you’re planning to visit Hungary for any reason—be it tourism or business—you need to be sure that you fulfil every Hungary Visa requirements! Once done, you’ll be more than ready to enjoy the amazing experience of all the Hungarian wonders, like its inspiring culinary traditions and the epic castles and palaces of Budapest, its capital city. 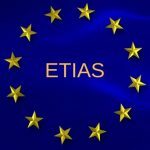 If you’ve stumbled across this article during your search for some guidance on how to apply for a visa to Hungary, you’re smack-bang inside the treasure chest of information about Hungary Visa Requirements. Since Hungary is a member of the Schengen area countries, Schengen visa rules apply to Hungary too. And, yes. You’re right if you think applying for a Schengen visa could be a little more than a challenge. On the other hand, with the right guidance, you’re all good to fly towards your dream destination! That’s why we have written this amazing article on every Hungary Visa requirements you need to be aware of, while you apply for a Schengen visa to Hungary. 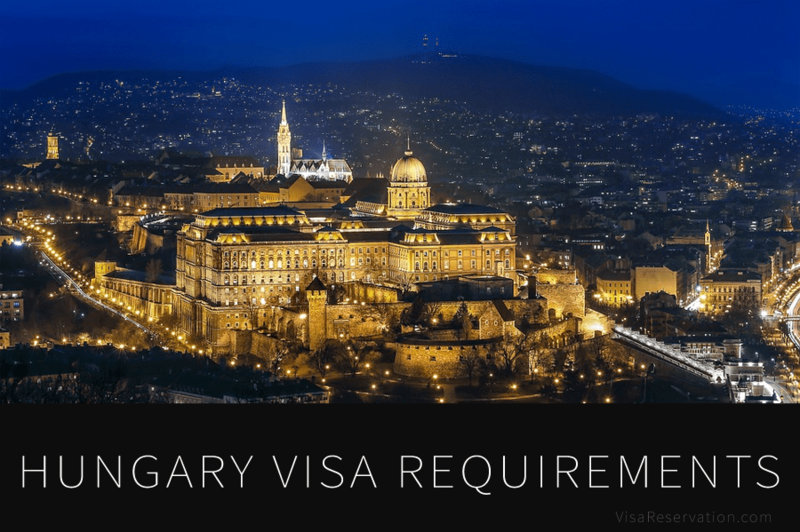 WHAT ARE THE MANDATORY HUNGARY VISA REQUIREMENTS? 1) Duly-signed Visa Application Form: A fully filled-out visa application form is one of the most important Hungary visa requirements. Our suggestion is that you fill the visa application form online. Once filled, you’ll get an email, which you can print and submit at the embassy, of course, with your sign on it. This makes the application process much faster, since the soft copy of the application is already with the embassy when you filled it online. Apparently, the visa application should contain all the basic details asked with reference to the documents pinned along with the application. Not to mention, any errors in the application form must be carefully avoided. 2) Your Passport: When submitting your passport along with the rest of the documents, you need to ensure a couple of things. One, the passport should be issued in the past 10 years with a validity extending to more than 3 months after arriving back in your home country. Second is, you need to have at least two blank pages in your passport to mark the arrival and departure from the country you’re visiting. 3) Two Passport-sized Photographs: Along with the application form and other mandatory Hungary visa requirements, you will also be asked to provide 2 passport-sized photos, which are not more than 6 months old. Keep the standard 35x45mm standard size, while ensuring that your face covers 80% of the photograph and that the background is light. 4) Covering letter: A covering letter is simply a declaration that you write explaining the purpose of your international visit. So, ensure that you include all the possible details about the visit, such as the duration, places you’ll be staying in, details of the places where you will visit in Hungary, and whether you’ll be visiting any other country during this trip. In case you extend your trip to other Schengen countries, you will have to provide more details regarding your inter-Schengen visit. 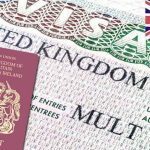 WHAT ARE THE ADDITIONAL HUNGARY VISA REQUIREMENTS YOU NEED TO FULFIL? 1) Travel insurance policy: Travel Insurance is very important, since it is one of the few documents that ensure that you will not be a burden to the visiting country in case of any medical emergency. For a Schengen visa to Hungary, you need a travel insurance policy that covers medical expenses of at least 30,000 EUR. It should also cover emergency medical evacuation or repatriation. 2) Travel Itinerary: You have to plan out your itinerary before applying for a visa and book/reserve your flight tickets as well. You need to submit all your booked flight tickets or flight reservations for the onward journey as well as the return journey to your home country. 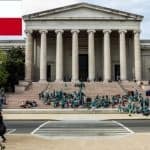 This, primarily, acts as an assurance that you’re going to return to your home country once the approved visiting period is over and that you’ll not be staying back in Hungary illegally. If you’re visiting any other Schengen country apart from Hungary during your tour, you should also provide a flight/train ticket or car rental receipt for the inter-Schengen travel. Booking a flight ticket can be a very big commitment, and hence it is not advisable if you’re unsure of the journey dates. So, we suggest that you opt for a flight ticket reservation for visa, instead of booking a flight ticket right away. Don’t worry, flight reservations are definitely acceptable for the visa procedures. 3) Proof of accommodation: The proof of your accommodation at the hotels, homestays, or camping sites that you’ll be staying in Hungary needs to be submitted while applying for the visa. If you’re planning to stay at a friend’s or relative’s place, you need to submit a proof of sponsorship, along with the relevant ID proofs of the host. You may also need an invitation from the host. 4) Means of subsistence: Financial proof that you have the appropriate funding required to make a round trip to Hungary is a very important supporting document. The Hungarian embassy requires the bank statement for the past three months, which is duly signed and sealed by the bank. You can also include the salary slip for the last three months along with the bank statement, as a non-mandatory document. 5) No Objection letter from employer/institution: If you’re an employee or a student, you need to submit a No Objection Certificate (or NOC) from your employer/institution, stating that they do not have any objection against you travelling abroad and that adequate leaves for the tour are already approved by the company/institution. Along with all these documents, you may need to submit the photocopies of all the important documents, such as your passport or previous visas (if applicable). Now that you’re aware of all the Hungary Visa requirements, if you feel you need help with any of these requirements, simply contact us by clicking this link. Along with specializing in a range of services, like arranging for a travel insurance policy or a dummy flight reservation, we also have an amazing support team that can guide you through each step of your Schengen visa application process. So, you can keep your worries aside and await your thrilling Hungarian experiences ahead!